TWO types of sausages made with pork from an outdoor free-range pig farm in Essex have scooped accolades. Primose Pork, at Great Bromley, near Colchester, scooped British Sausage Week gold awards for its Best Traditional and Great Bromley Banger. It is the second time its Best Traditional has won the award. Back in 2008, when it was the regional winner, cricket umpire Dickie Bird presented the trophy. Pig farmers Robert and Karen Moss set up their own butcher’s farm shop on the farm about three years ago. Mrs Moss described the accolades as “fantastic”. 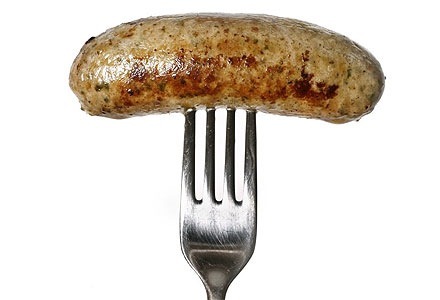 British Sausage Week takes place from October 31 to November 5. Full story from the East Anglian.